We sell more Jeep publications than anyone! Anywhere! Period! 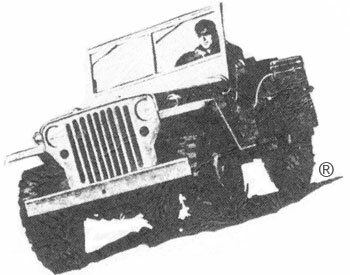 We have all of the manuals for both civilian Jeep and military Jeep vehicles as well as 1/4-ton military trailers from 1941 thru 1990. It is your responsibility to know the model of your Jeep vehicle before ordering publications for it. Check in our Identify Your Jeep to positively identify your vehicle. Click on "View More" in the categories below to find the publications for your Jeep vehicle.